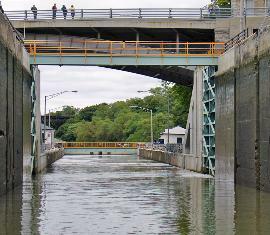 How to lock through the locks on the Erie Canal - click next. Canal as long as you are going forward, you can not get lost. 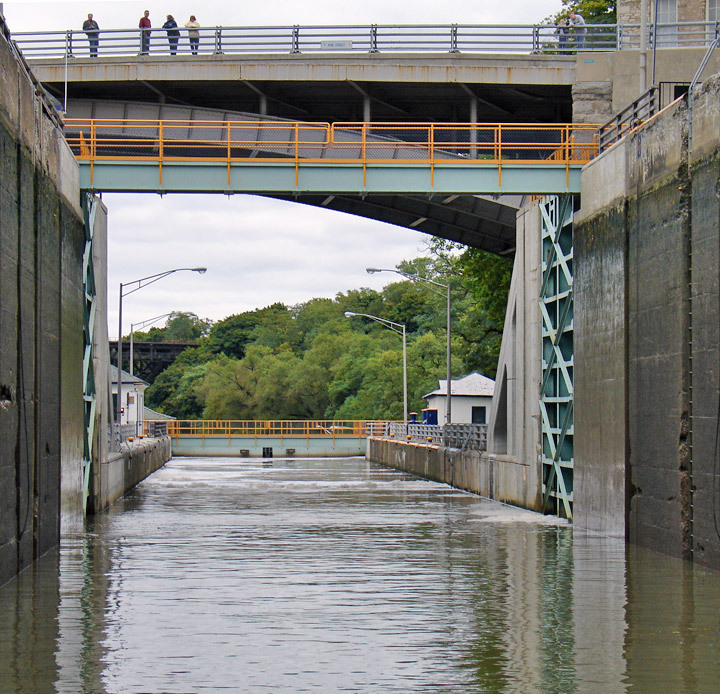 Erie Canal depth remains pretty constant between 9-10 feet. (and just south, and up stream - by the way - of Niagara Falls). mentioned the word: telephone, television, or computer. around 5 mph, you are also traveling through one of the most historic and beautiful parts of the country. time for a bike ride, fishing, or visiting a local attraction before dinner. and what energizes and excites your life. 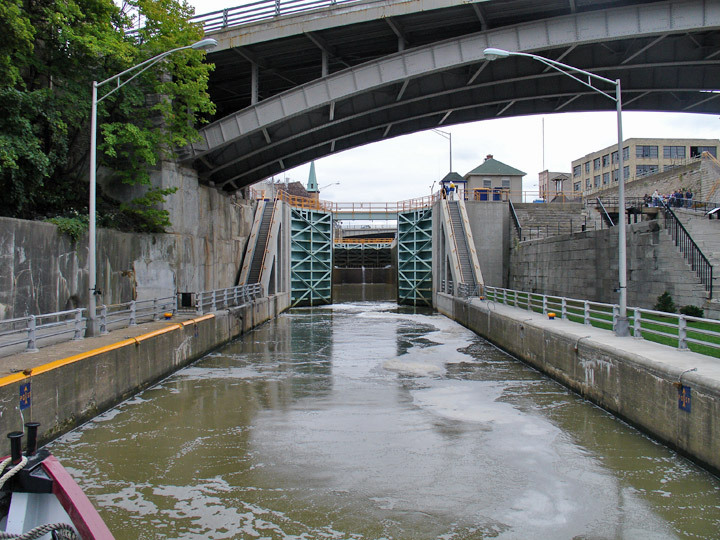 the canal makes it very safe, and provides ample opportunities to stop most anywhere along the way. with the Fish, Deer, Geese, and Ducks, you will even see a few "Golden Arches" along the way. very thrilled over having shared this incredible experience. While slow, it is worth every moment of the journey. 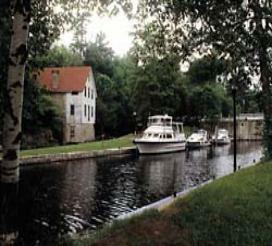 services that a transient boater would need. and a maximum 15' 6" height above the water. 7:00 a.m. to 10:00 p.m. 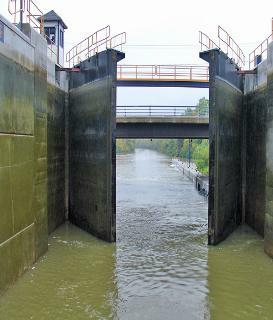 So there is no cruising at night as you can not go any further than the next Lock or lift bridge. 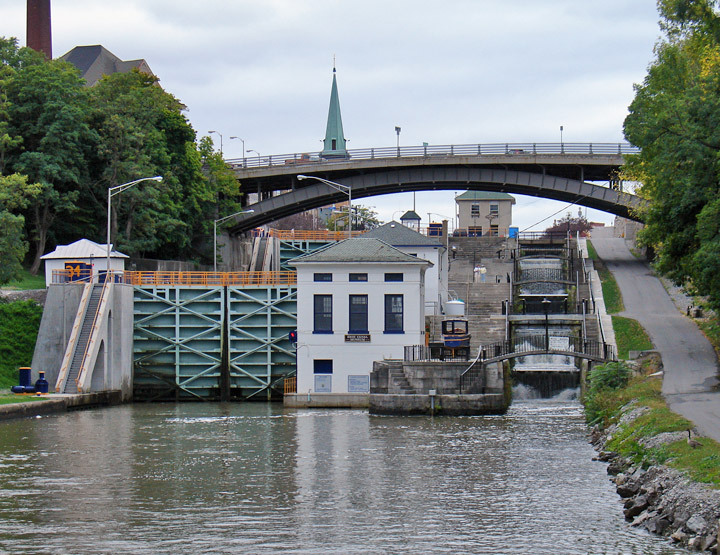 With an exception of a brief run in the beginning and crossing Lake Onieda, the rest of the Erie Canal has a 10 mph speed limit.